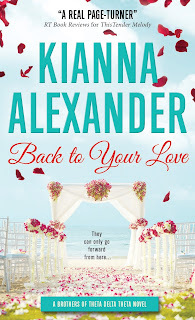 If you like your romances with equal parts sweetness and heat, then Kianna Alexander's Back To Your Love won't disappoint! Check out the excerpt below to see what we mean! Gently, he draped his arm around her bare shoulders. The feel of his touch radiated through her, the growing warmth inside her far exceeding the temperature of the sultry June night. Being in his arms again didn’t feel foreign, the way it should have after so many years. His touch felt as natural and familiar as her own heartbeat. She noticed the rapid pace of her breathing and wondered if he noticed it as well. A silent moment passed between them, their gazes connecting. Listening to him talk about his good works in such a modest way, she realized he still had a wonderful heart. In the few weeks she’d been home, her mother had gone on and on about Xavier’s activism. As an all-star athlete and scholar in high school, he could have chosen any career path he’d wanted. But instead of taking some high-paying, high-profile position, he’d chosen to make a modest living so that he could give back to the com- munity that had nurtured him as a child. Yes, Xavier Whitted was a rare bird, and if the look in his eyes was any indication, he was ready to build a nest. There, beneath his searching gaze, she could feel her very soul opening up. Once upon a time, she’d been certain she’d marry this man. Now, she felt like an inexperienced adolescent. No matter how she tried, she couldn’t look away from him. The heartbreak she’d suffered at Xavier’s hands had colored her perception of men. He’d been her first love and had shown her a first glimpse of real pain. Maybe she should thank him for that, because it had allowed her to focus on her goals, rather than be consumed by chasing after a suitable mate. She heard his soft words, and even as her brain yelled at her to back away before she lost her heart to him a second time, no words would come. All she could manage was to look into the endless pools of his eyes. An instant later, his lips touched hers. Xavier Whitted, CPA and city council candidate is excited to get away to the Crystal Coast for his best friend’s wedding. 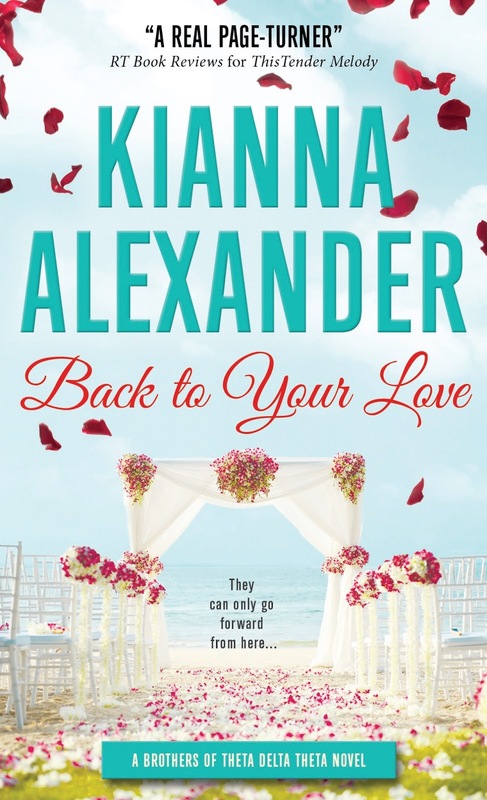 He is shocked when he runs into his high school sweetheart there, the only woman he ever truly loved. Dr. Imani Grant is just about ready to open her own dermatology practice when a serious wrench is put in her plans—in the form of Xavier Whitted. Old feelings resurface along with old secrets from the past. Imani isn’t willing to go there, until Xavier starts a new campaign: win Imani back—no matter what it takes.